We are all aware that deer are extremely vulnerable during these cold winter months, and survival is a constant struggle. 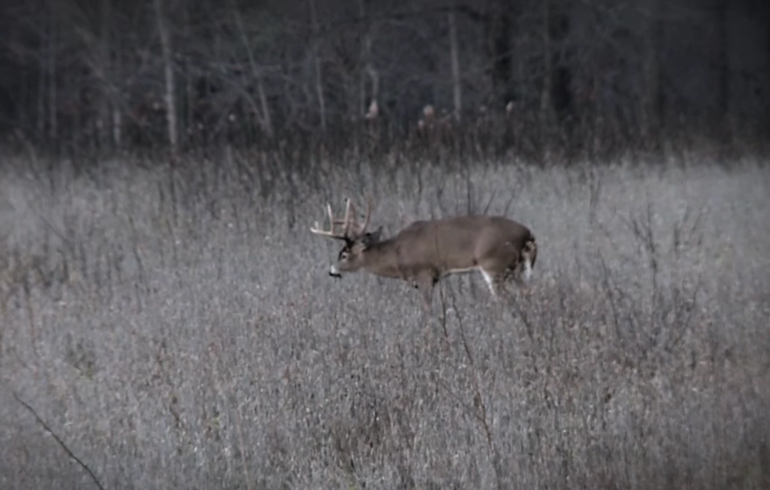 Most bucks are incredibly run down from the rut and low on body fat. I understand everything has to survive, but across many states coyotes are becoming over populated and taking a real toll on the deer herds. So what can we do? 1.) Predator Hunt- Managing predators in your area is an absolutely essential part to successfully managing both your deer and turkey populations. Too many coyotes, bobcats, or any type of predators can do some serious damage very quickly. Not only does predator hunting help with your overall deer/turkey management, but it’s a ton of fun to do in the off-season. When it comes to picking your ammo, Winchester makes it easy. 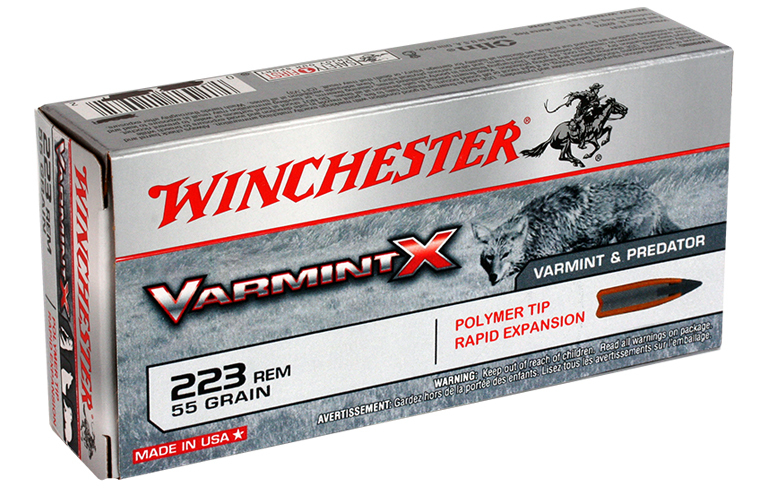 They came out with Varmint X and it’s exactly what you need with minimal pelt damage. The polymer tipped bullet is explosive upon impact and have incredible long range performance. So get out there and give varmint hunting a try. Not only will you have a blast, but you’ll be helping your deer herd as well! 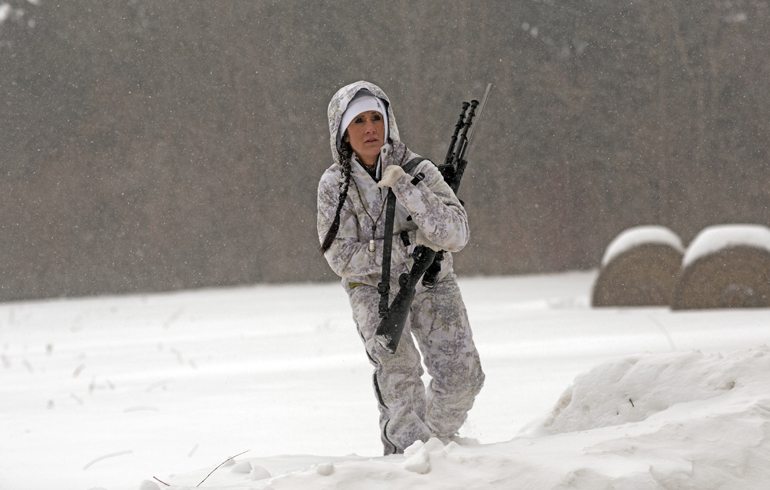 Make certain to check out Winchester on the Internet so see the new .17 and .22 Hornet products. Both are super fast and super lethal. Also new for 2016 is the new Varmint X shotshell with Shot-Lok technology…this is a most deadly load for long, downrange shots. 2.) Ani-Logics Supplement 365- Many people like to feed their deer and turkeys during the winter months to help promote healthy animals. This is a great option but you need to check on a couple things first. Number one, make sure it’s legal in your state. Next, you need to decide what you’re going to feed them. On this front, Ani-Logics has made it easy. They created Supplement 365. 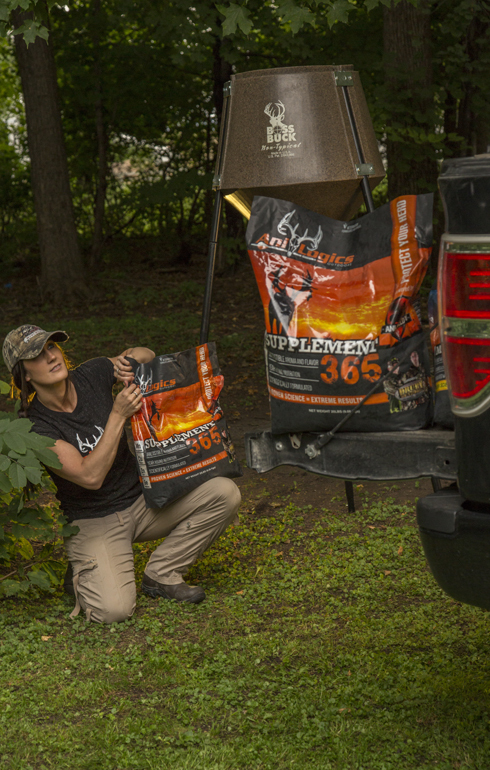 This is a balanced protein diet to keep your deer in tip top shape. It not only is helpful for bucks that are run down, but it offers year-round nutrition to the entire herd. This is not just another feed company slapping a deer photo on a bag of corn. These are some of the best vets in the world who have come together, done the research, and found the perfect mix of nutrition and taste to keep your deer healthy. Not only will the deer devour it before anything else, it also contains a their exclusive Ani-Shield TX4 which has been designed to optimize a deer’s immune system. 3.) Boss Buck Feeders- Although most people have good intentions when putting out food, it can sometimes become a huge hassle. Feeders can get packed with snow and moisture, run out of food quickly and have all sorts of issues. Over the years I’ve started using Boss Buck Feeders with a gravity head. There are spouts that the deer actually stick their noses in and eat. Gravity will pull the feed down as needed and this helps ensure moisture will not get into their feed. The feeders are available in a variety of sizes- all the way up to a 1,200 pound feeder, so you can limit your number of refills. Lastly, I like to use a gravity feeder in the winter, but some people like having an automatic feeder setup during hunting season and this just so happens to be the only feeder that can change from a gravity head to an automatic within minutes. 4.) Trail Cameras- I like to keep my Cuddeback’s out even after the hunting season has come to an end. The reason is simple. I like to see what bucks made it through the winter, watch their overall health, and monitor predators. Usually my dad will take all the deer carcass from the season and put them in a pile within shooting distance of our home in Minnesota. We then put a Cuddeback out and get an amazing array of photos. This year a badger actually made his home underneath a carcass and would come out at night. My dad also is able to shoot several extra coyotes each year just from putting this out. Many people get incredible photos of bald eagles, coyotes, bobcats, crows- you name it – really cool stuff.